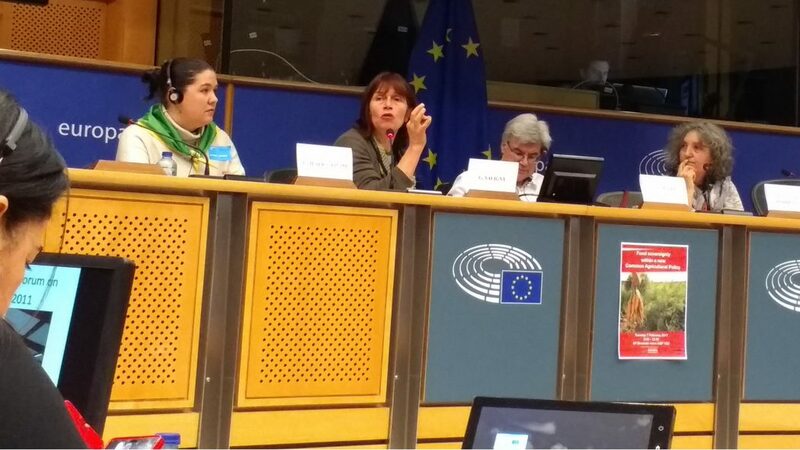 Hosted by the European United Left/Nordic Green Left, the hearing “Food Sovereignty within a new Agricultural Policy” in the EU Parliament this morning in Brussels moved discussions regarding the coming reform of the CAP beyond the mere distribution of public subsidies and highlighted the importance of food sovereignty and another model of agriculture. The speakers pointed out how the current CAP doesn’t address the poverty and nutrition concerns raised by the 2008 crisis. It has rather focused on competitiveness and competition including within the EU . It hasn’t addressed the near extinction of small farmers in many regions of Europe (90% of farms have been lost in the last 30 years in certain regions), or the abusive use of antibiotics in high concentration animal farms, contributing to the 25 000 annual humans deaths in Europe related to antibiotic resistance. Food Sovereignty remains a highly subversive concept. It’s essential in countering destructive trade and agricultural policies in a globalised economy. 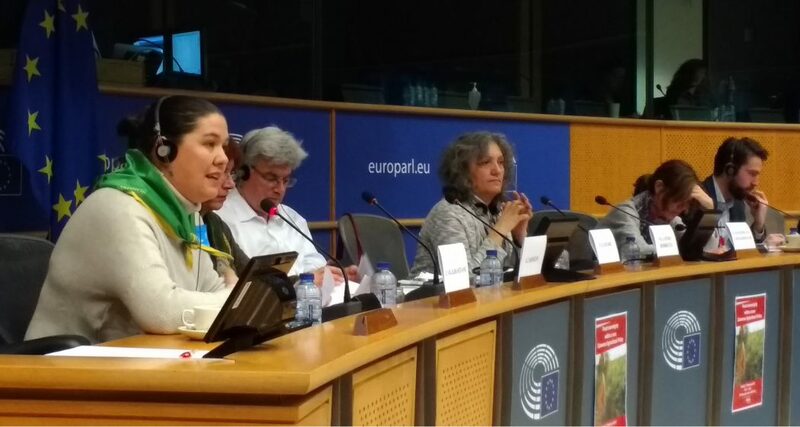 Food sovereignty must be at the core of a large overarching food policy, one which will promote, support and develop sustainable food and farming systems that respect human rights and the environment. The contents of this website are the sole responsibility of ECVC and can under no circumstances be regarded as reflecting the position of the European Union.This website has been produced with the financial assistance of the European Union.